The gift of a monetary donation helps serve families and individuals in need throughout community. Monthly donations are the best way to support the NW Furniture Bank. NW Furniture Bank relies on furniture donations from the community to help furnish the homes of families and individuals in need. We can only accept new or gently-used items. The NW Furniture Bank accepts donations Monday thru Saturday 9 a.m. to 4 p.m. Remember all donations must be free of rips, cuts, stains and pet hair. Mattresses and box springs can be recycled for $20 PER PIECE. The items can be in any condition, but must be dry. NW Furniture Bank offers pick-up service within a 20 mile radius of our location in downtown Tacoma. Please fill out the form below or call us to have your furniture picked up by the NW Furniture Bank. In all cases our drivers reserve the right to accept or reject furniture items. If possible all items should be placed in the garage or outside of the home. We cannot be responsible for potential damage caused by removing furniture from inside the home. The pick- up fee is $50 for any quantity of furniture. 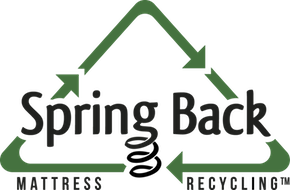 Mattresses and box springs can be recycled for an ADDITIONAL $25 per piece. Example: A queen set is 2 pieces for $50. A king set is 3 pieces, but we only charge as two: $50. Example: One queen mattress and a household of furniture would be $25 for the mattress and $50 for the furniture totaling $75.The mattresses can be in any condition, but must be dry. Cash, debit or credit only. Why we do not offer "free" pick-up. Nothing is free. The fees we charge help NWFB cover the cost and allows you to further our mission to help those less fortunate with their furniture needs. Trucks are expensive to run. We employee professional insured drivers and strive to provide the best service possible. Thanks for helping support our work.